Enjoy a Sweet, Sweet Potato! Figure 1. Pictures of raw sweet potato. Figure 2. Pictures of a sweet potato soup. The sweet potato, a delicious dicotyledon, or simply, a plant with divided flowering reproductive parts, boasts a delicious surprise if you look under the dirt- starchy and sweet root vegetables that can be part of your delicious and nutritious diet! How nutritious, you may ask? The Center for Science in the Public Interest pitted the sweet potato against other foods comparing their respective content of complex carbohydrates, vitamin A, protein, fiber, and potassium, and came to the conclusion that the sweet potato was the healthiest food out there! Sweet potatoes contain myriad beneficial compounds and constituents, from beta-carotene, a precursor carotenoid of vitamin A, to unique storage proteins called sporamins with powerful antioxidant properties, to resin glycosides, exotic hybrid starch and sugar molecules with potential antifungal and antibacterial properties, sweet potatoes present a very exciting and tasty opportunity to improve your diet and your health. Don't Stress! "Leave" it to Sweet Potatoes! There is newfound interest in the dietary benefits of sweet potato leaves and stems. In many parts of the world, such as Guinea and Sierra Leone, sweet potato leaves are a dietary staple and are able to grow in nutrient poor soils . Interestingly, this super-nutritional leaf remains largely underutilized in the Western diet. The paragraphs below will hopefully "leave" you wondering why you aren't eating more sweet potato leaves! Oxidative stress, or the body's inability to manage and detoxify the production of harmful reactive oxygen species in the body, represents a constant threat to your health. Reactive oxygen species (ROS) are considered a precursor and indicator for future disease states and illnesses. In fact, oxidative stress is thought to be involved in the development of cancer , Alzheimer's disease , various cardiovascular diseases like arthrosclerosis, heart failure, and heart attack [5, 6, 7], to autism , infection , and even chronic fatigue . A diet rich in antioxidants can provide a robust defence against harmful oxidative stress. In a 2010 study, Chang et al., found that the consumption of purple sweet potato leaves for 7 days resulted in a significant reduction in biomarkers of oxidative stress and cellular damage from blood tests taken from the subjects. The biomarkers that decreased as a result of the consumption of purple sweet potato leaves were plasma thiobarbituric acid-reactive substances (TBARS) and protein carbonyl . Beyond oxidative stress, sweet potato leaves also possess fascinating antibacterial activity. Their unique concoction of polysaccharides (polymeric carbohydrates) has been experimentally proven to suppress the growth of Escherichia coli O157:H7, a highly virulent bacteria whose ingestion usually comes by way of contaminated water or food, and can result in kidney failure and haemorrhagic diarrhoea [12, 13]. Nasty stuff! a compound belonging to the caffeoyl quinic acid derivatives. It is no secret that hyperglycemia and diabetes have reached an epidemic level worldwide. According to the World Health Organization, 9% of people over the age of 18 have diabetes, or over 400 000 000 the world over . The world needs more sweet potato leaves. To prove this point, a Japanese research group studied the effects of supplementing the diets of mice with sweet potato leaf extract, in hopes of finding quantified data regarding the unique nutritional properties of the sweet potato leaf. In particular, they were interested in the presence of a compound class called caffeoyl quinic acid derivatives, whose potent antioxidant properties have long been suspected of possessing nutritional benefits. Their results were fascinating. Nagamine et al. (2014) found that the administration of sweet potato leaves significantly stimulated GLP-1 secretion. GLP-1, which stands for glucagon-like peptide-1, is a metabolic hormone secreted primarily by the intestinal L cell and is known to have a variety of physiological functions related to blood-sugar regulation. From increasing insulin secretion in a glucose dependent fashion, to decreasing glucagon secretion by engaging a particular serpentine receptor, and many others, GLP-1 is a powerful chemical agent in your body. Their studies performed in vitro demonstrated the ability of caffeoyl quinic acid derivatives to directly stimulate GLP-1 secretion, and therefore lower glycemia in vivo . In conclusion, Nagamine et al. (2014)'s findings provide biochemical insight into the underlying anti-diabetic properties of sweet potato leaves. Figure 5. A pictoral representation of the metabolic mechanism of GLP-1. (Image: Nature Medicine 9, 1113 - 1115 (2003)). It is well known that sweet potatoes (both their roots and leaves) possess antioxidant properties. Although oxidative stress in undoubtedly a serious health threat and a precursor to many diseases as discussed previous, it is not the only physicochemical threat that exists. Xie et al. (2010)  set out to investigate if the pigments contained in sweet potatoes also possess radioprotective properties, also known as the ability to prevent or reduce damage caused by the exposure of living organisms to ionizing radiation. To test their hypothesis, Xie et al. (2010) selected a specific type of sweet potato known as Ipomoea batatas cultivar Ayamurasaki. This sweet potato was chosen deliberately for its high pigment content. The experimenters then exposed murine thermocyte cells taken from mice to cobalt-60, a synthetic radioactive isotope, and compared their survival results to a group of murine thermocyte cells that had been supplemented with sweet potato pigments. The results are telling. Compared to a 38% death rate in the untreated sample of murine thermocytes, only 20% of those cells treated with sweet potato pigments died. There is more to the story, as well. Xie et al. (2010) found that the sweet potato pigments also reduced apoptosis of the exposed cells as measured by flow cytometry (a complex, laser based particle analysis technology), as well as scavenged reactive oxygen species created by the exposure of the murine cells to cobalt-60. Additionally, the sweet potato pigments significantly enhanced the enzymatic activity of superoxide dismutase and glutathione peroxidase. In fact, the sweet potato pigments restored the enzymatic activity of the above enzymes to pre radiation exposure levels! Xie et al. 's investigation into the radioprotective properties of sweet potato pigments is a crystal clear demonstration of the inherent nutritional benefits of a diet containing sweet potatoes. We have surveyed just a few of the nutritional benefits of sweet potatoes, and have come to the conclusion that both the leaves and the roots of sweet potatoes are incredibly healthy. This leads us to a logical question: what is the healthiest way of preparing sweet potatoes? According to World's Healthiest Foods, steaming your sweet potatoes is a great way of minimizing damage to heat sensitive nutrients, while also avoiding water submersion and potential leaching of water-soluble nutrients! In the event that steamed sweet potatoes sound like a boring taste proposition, consider adding some olive oil, salt, and pepper to make things more interesting. Also consider juicing sweet potatoes with oranges as part of your daily breakfast juice routine. "Nutrition Action Health Letter: 10 Worst and Best Foods". Center for Science in the Public Interest. 2013. Abidin, P.E. (2004). Sweetpotato breeding for northeastern Uganda: Farmer varieties, farmer-participatory selection, and stability of performance(PhD Thesis). The Netherlands: Wageningen University. p. 152 pp. Halliwell, Barry (2007). "Oxidative stress and cancer: have we moved forward?". Biochem. J. 401 (1): 1-11. Valko, M., Leibfritz, D., Moncol, J., Cronin, MTD., Mazur, M., Telser, J. (August 2007). "Free radicals and antioxidants in normal physiological functions and human disease". International Journal of Biochemistry & Cell Biology 39 (1): 44-84. Singh, N., Dhalla, A.K., Seneviratne, C., Singal, P.K. (June 1995). "Oxidative stress and heart failure". Molecular and Cellular Biochemistry 147 (1): 77-81. Ramond A, Godin-Ribuot D, Ribuot C, Totoson P, Koritchneva I, Cachot S, Levy P, Joyeux-Faure M. (December 2011). "Oxidative stress mediates cardiac infarction aggravation induced by intermittent hypoxia.". Fundam Clin Pharmacol. 27 (3): 252-261. Dean OM, van den Buuse M, Berk M, Copolov DL, Mavros C, Bush AI. (July 2011). "N-acetyl cysteine restores brain glutathione loss in combined 2-cyclohexene-1-one and D-amphetamine-treated rats: relevance to schizophrenia and bipolar disorder". Neurosci Lett. 499 (3): 149-53. James, SJ. ; Cutler, P.; Melnyk, S.; Jernigan, S.; Janak, L.; Gaylor, DW. ; Neubrander, JA. (Dec 2004). "Metabolic biomarkers of increased oxidative stress and impaired methylation capacity in children with autism.". Am J Clin Nutr 80 (6): 1611-7. Pohanka, M (2013). "Role of oxidative stress in infectious diseases. A review.". Folia Microbiologica 584 (6): 503-513. Gwen Kennedy, Vance A. Spence, Margaret McLaren, Alexander Hill, Christine Underwood & Jill J. F. Belch (September 2005). "Oxidative stress levels are raised in chronic fatigue syndrome and are associated with clinical symptoms". Free radical biology & medicine 39 (5): 584-9. Chang WH, Huang YF, Yeh TS et al. Effect of purple sweet potato leaves consumption on exercise-induced oxidative stress, and IL-6 and HSP72 levels. J Appl Physiol. 2010 Sep 23. Karch H, Tarr P, Bielaszewska M (2005). "Enterohaemorrhagic Escherichia coli in human medicine.". Int J Med Microbiol 295 (6-7): 405-18. Islam, S (2007). Medicinal and Nutritional Qualities of Sweetpotato Tops and Leaves. University of Arkansas at Pine Bluff. Cooperative Extension Program. 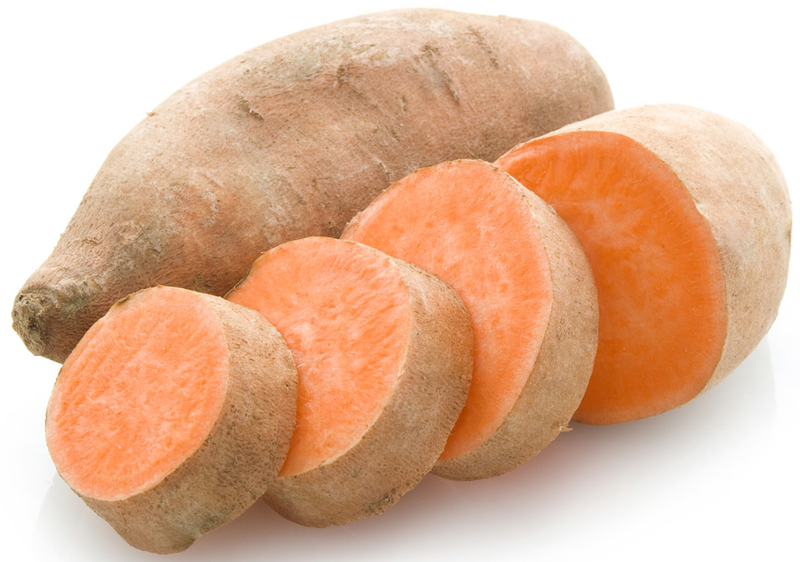 Nagamine R, Ueno S, Tsubata M, Yamaguchi K, Takagaki K, Hira T, Hara H, Tsuda T: Dietary sweet potato (Ipomoea batatas L.) leaf extract attenuates hyperglycaemia by enhancing the secretion of glucagon-like peptide-1 (GLP-1). Food Funct. 2014 Sep;5(9):2309-16. Xie J, Han YT, Wang CB, Yu WG: Purple sweet potato pigments protect murine thymocytes from (6)(0)Co gamma-ray-induced mitochondria-mediated apoptosis. Int J Radiat Biol. 2010 Dec;86(12):1061-9.